If you need service or calibration, please please complete the form below and we’ll get in touch with you within one business day. Help us help you more quickly by providing the serial number of your ASL 5000. 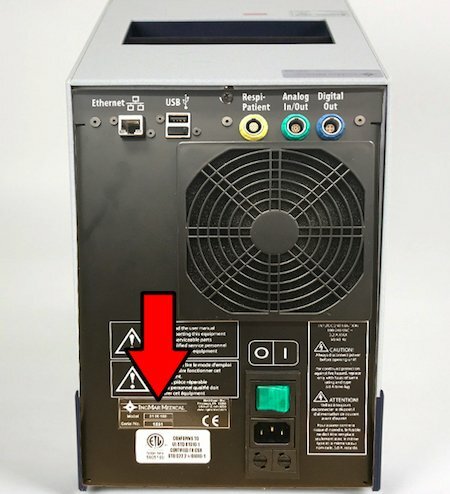 Location of serial number on back of the ASL 5000. Help us help you more quickly by providing the serial number of your QuickLung (back bottom left). Calibrated QuickLung serial numbers begins with "C" (for example 1500101-C1234). The standard QuickLung serial numbers do not start with a "C". The standard QuickLung cannot be calibrated. If a repair, please describe the issue.